C-SPAN is a nonprofit news organization whose mission is to provide the public open, non-biased access to information about the federal government. 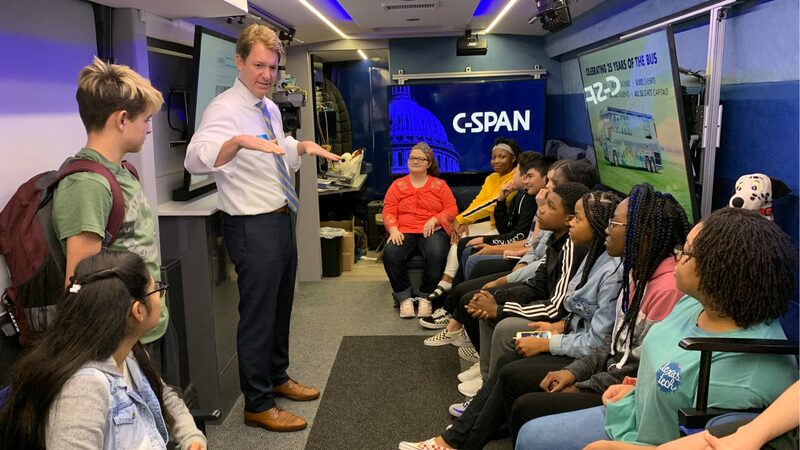 Since 1993, the C-SPAN bus has toured the country to inform and enlighten, giving entire communities the opportunity to come face-to-face with the federal government. 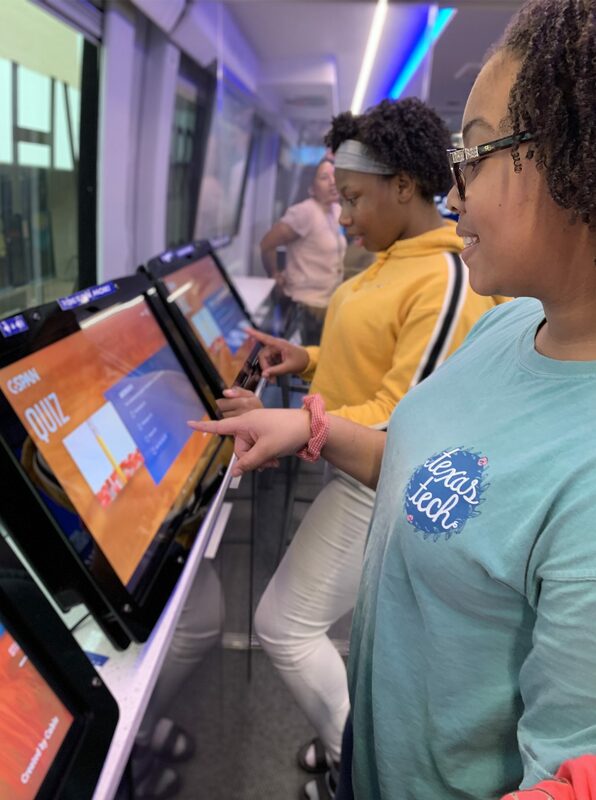 Students test their knowledge of the federal government on the C-SPAN bus. “This is our way to get out of Washington D.C. to talk to students, educators and the public about what we do at C-SPAN and really bring the field trip to the students,” C-SPAN Marketing Manager Heath Neiderer said. Kent Clingerman from the Harris County Precinct 4 Community Assistance Department was also present to shine a light on local government roles and professions for the students. In addition to touring the bus, students were able to ask questions and explore their knowledge of the government. “Going on the bus and learning about everything in person was my favorite part,” student Mia Giordano said. Evangeline Mitchell, the U.S. History teacher who helped organize the event, explained that the hands-on aspect of the C-SPAN bus helped students see how the concepts they discuss in the classroom apply in real life. Hildebrandt Principal Lauren Marti expressed gratitude to everyone who made the event possible for this group of learners. “The biggest thing is just thanking our teachers for stepping up as leaders and doing this on their own and bringing this to my attention – this was 100 percent my teachers’ doing,” she said.